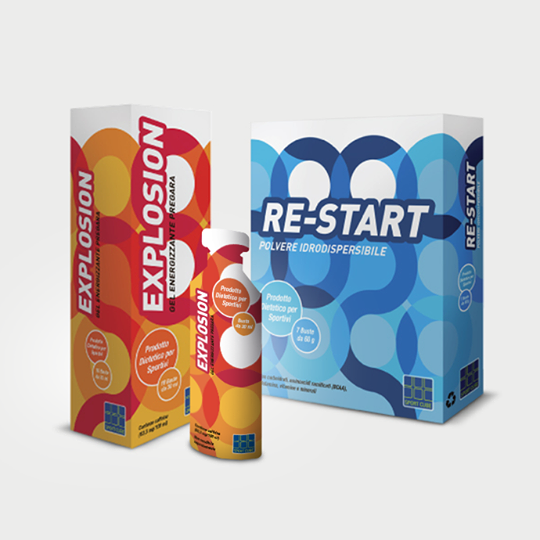 Case of 10 EXPLOSION sticks + Case of 7 RE-START sachets in sale at 5% discount for a limited time period. Sport means passion, commitment and effort. 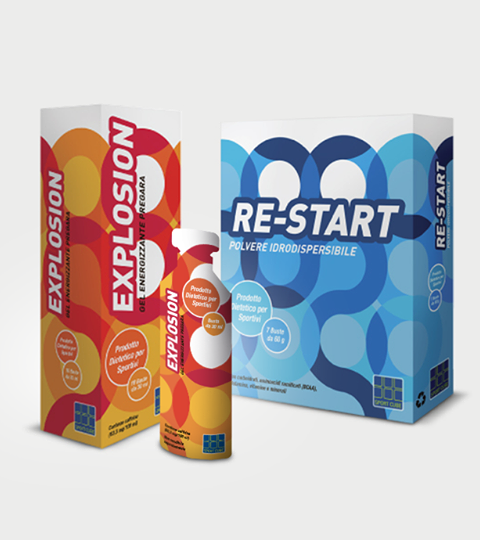 Power Bundle is a super energetic and restorative kit for intense physical activity and for every moment that requires an energetic surplus. 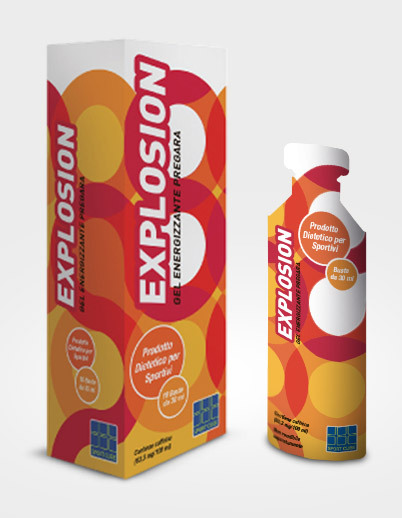 Be ready for your sport performance with Explosion: the pre-competition energizing gel with carnitine, magnesium, caffeine and group B vitamins. 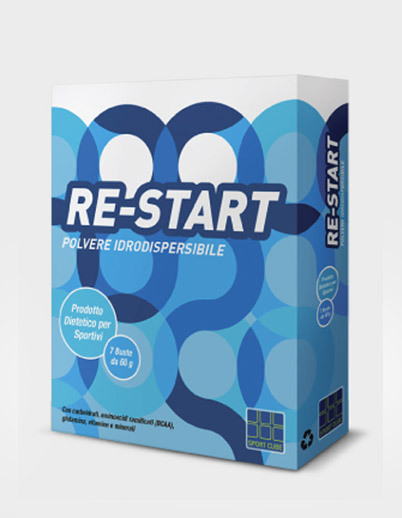 After your sport performance, recharge yourself with Re-Start: the water dispersible powder based on carbohydrates, branched aminoacids, glutamine, minerals, vitamins and nutrients, which reduces tiredness and contributes to immune system functioning during and after physical effort. Case of 10 sachets of 30 ml each. Intake: 1 sachet to be taken 5 minutes before and during the sport performance. Repeat the intake if necessary, for intense efforts after 50 minutes of physical activity. Ingredients: depurated water, glucose syrup, fructose, isomaltulose, glucose, maize maltodextrine, pidolate magnesium, D-ribose, hydrocloride L-cartinine, thickener: xantana gum, preservatives: potassium sorbate, sodium benzoate, acidifier: citric acid, Caffeine, orange aroma, Nicotinamide (Niacin), Calcium D-pantothenate (B5 vitamin), Hydrocloride pyrixodine (B6 vitamin), Riboflavin (B2 vitamin) Hydrocloride thiamine (B1 vitamin). Gluten-free and lactose-free. Warnings: the foods supplements are not intended to be substitutes to a varied, balanced diet and a healthy lifestyle. Do not exceed the suggested daily dosage. Discouraged during pregnancy and paediatric age. Keep away from children under age of three years old. It contains Caffeine (daily mg/dose) not recommended for children, during pregnancy and breastfeeding. Storage conditions: the product has to be stored at a temperature between 10°C and 25°C, in a dry place and away from localised light and heat sources.